Happy Tuesday, y'all! 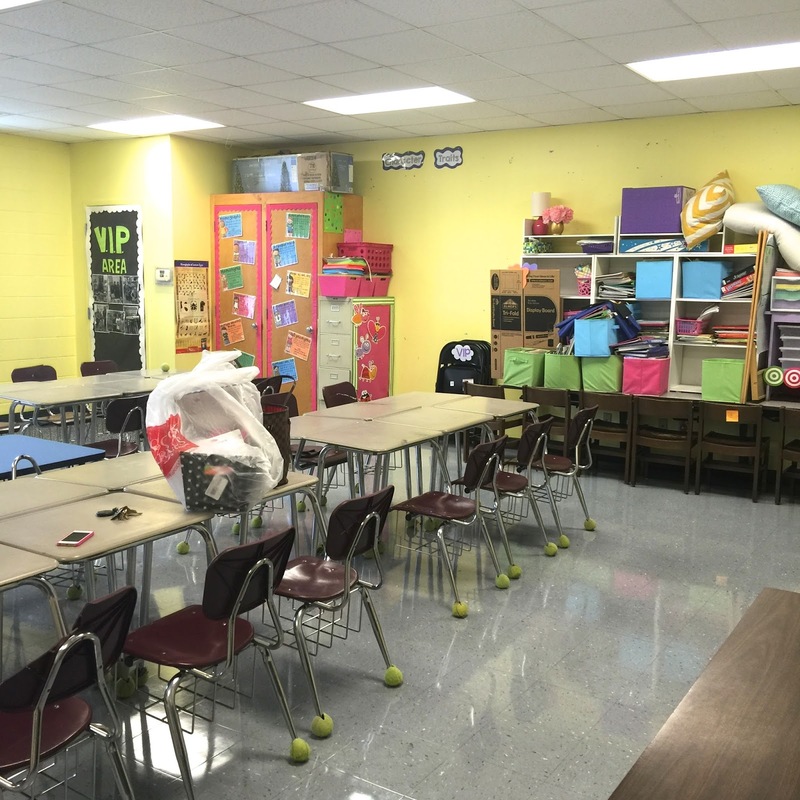 I went back to my classroom for the first time yesterday and worked a little bit. I didn't get a lot accomplished. I placed most of the furniture, but that was pretty much it. 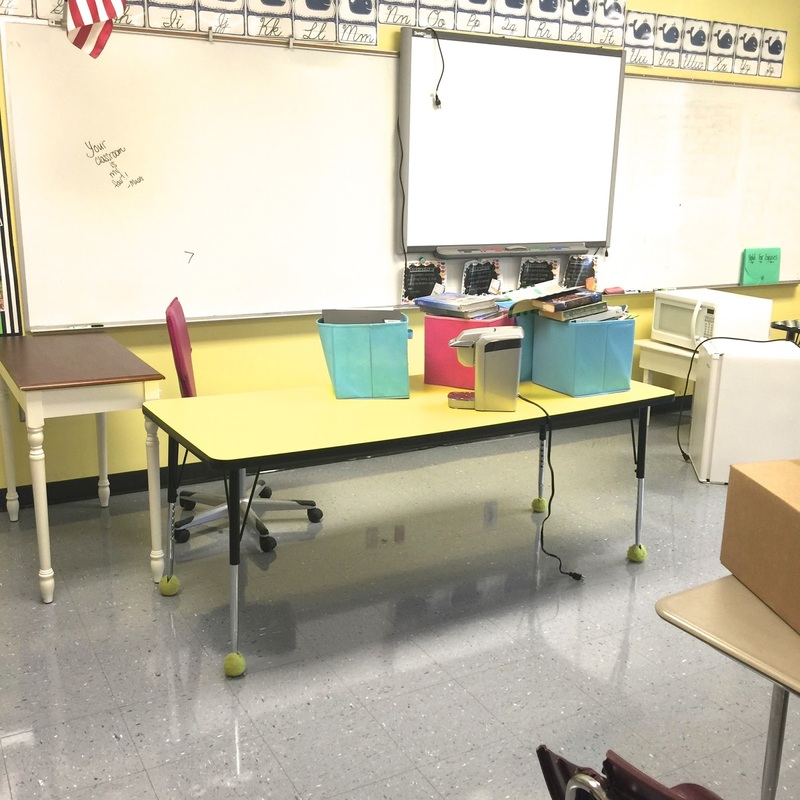 I'm getting rid of my teacher desk and another big table this year in an attempt to declutter! Anyways, here are the pics. I know it isn't much to look at, but it's fun to see the progress! Gotta start somewhere, right? Here's the view when I walked in. Those desks weigh a ton! It took forever just to get them all down and placed. It's so easy to find decor for my black and white theme! 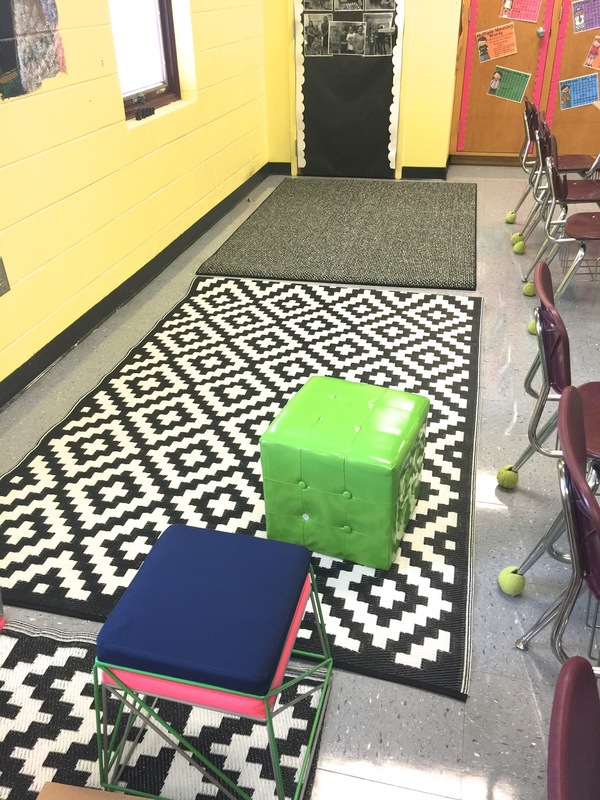 These two rugs are from Wal Mart and TJ Maxx. This will be the reading area. 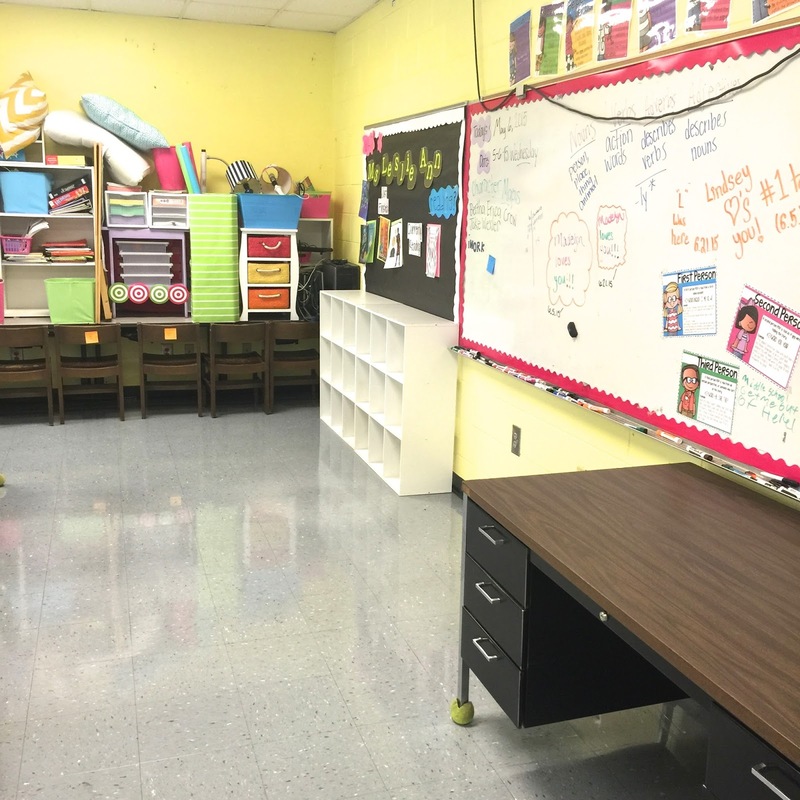 I'm thinking 4 groups of 6 desks...I'm liking the way it looks, but I may change to 6 groups of 4 if there's enough room. See all that stuff stacked on the table??? That's tomorrows project! Future small group area. Fun fact: I've never used a kidney shaped table, y'all! Future VIP Area. Don't know what this is? Read all about it here! This blue table needs to find a new home. Mission Declutter has officially begun! 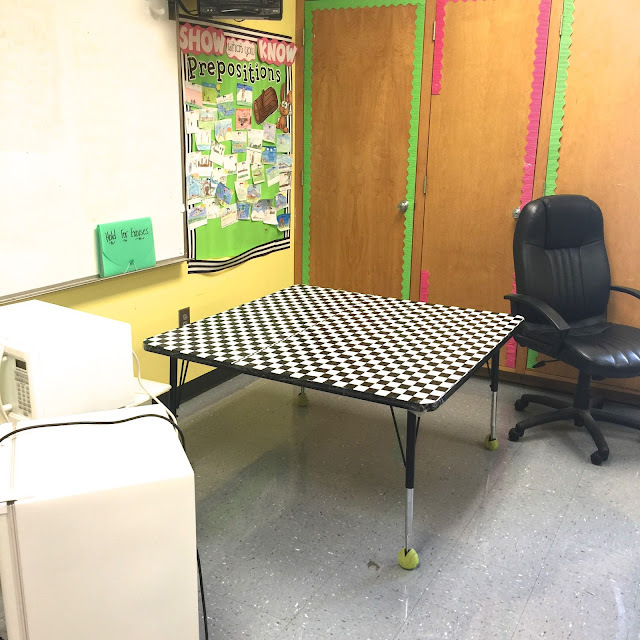 The teacher desk will also leave the room. 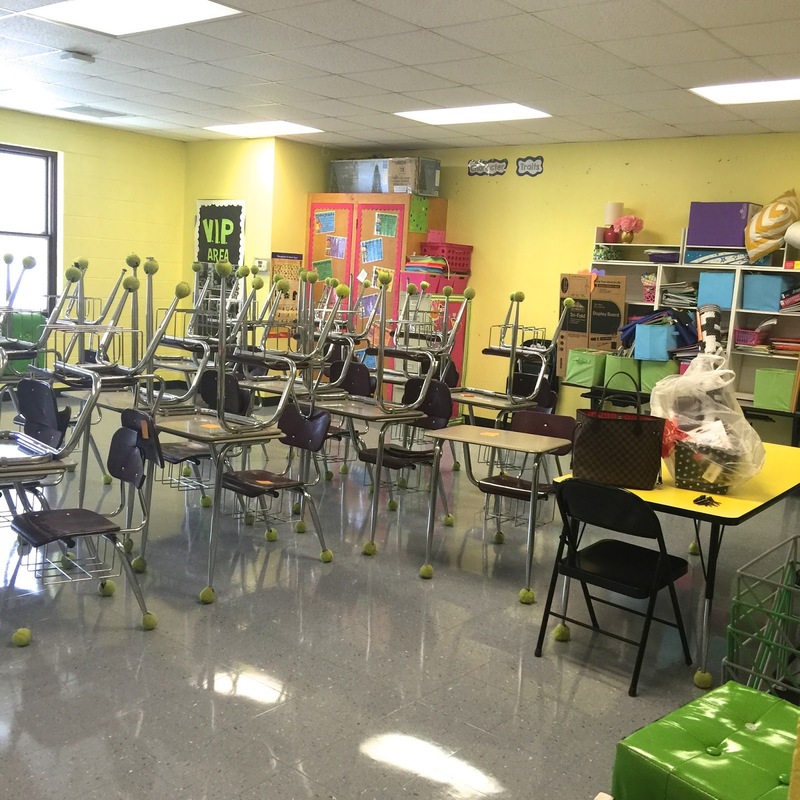 I usually sit at my small group table anyways and I'm trying to make more room for the kids to read and work around the room instead of sitting in their desks all class period. 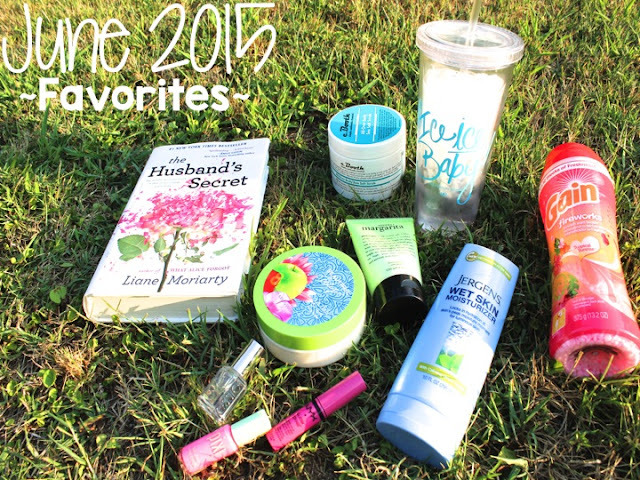 Be sure and check out my June Favs over on my Life+Style Blog Southern Belle Inspired! When do you go back? My school year just ended a week ago, so I can't imagine getting back in my room just yet. As a matter of fact, I wouldn't even be able to get in my room for another six weeks because of summer school. It looks a lot like my room when I turned in my keys at the beginning of June. Good Luck. So jealous!! Our school is currently going through a huge remodel and we can't access rooms until August 18th... with Open House on the 26th. Ahhhh!!! I just love setting up! Loving all the colors, looking fantastic! My school was in that situation last year and it was very stressful. As a tip for you, do as much as you can at home! I struggled for the first few weeks of school because I couldn't use those teacher days to work on curriculum. Good luck!! I'm entering my 2nd year as a 5th grade teacher (4th year total), but I feel my grading practices are not up to par. I'd like to become much more intentional about what I assign, what I collect, what I grade, the feedback I provide, the promptness of the turnaround, and the response I expect from my students to my feedback. Can you answer these questions please? What do I need to assign? What do I need to collect? What do I need to grade? How should students respond to the feedback they receive? 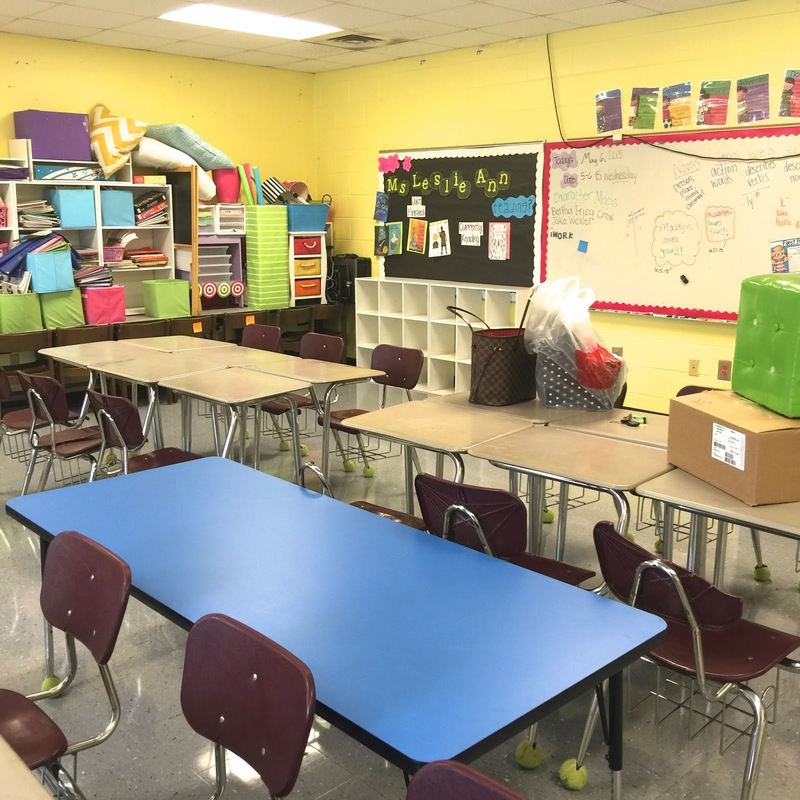 How much is a reasonable workload for a 5th grader? What kind of feedback do I need to provide for student work? How quickly do I need to provide feedback for student work?